Elegant 4-bedroom early Craftsman home features both modern amenities and architectural character in a fantastic location. Nestled in a grove of old growth oak trees on 0.81 acre with abundant wildlife and within city limits. Just 10 minutes from restaurants and events in downtown St. Paul. Renovated kitchen with granite counter tops, heated slate floor, custom cabinets and top-line appliances in kitchen. Large open living area with coffered ceilings and bay windows, perfect for family gatherings and entertaining. Formal dining room with built-in buffet. 3-season porch with maple floor. 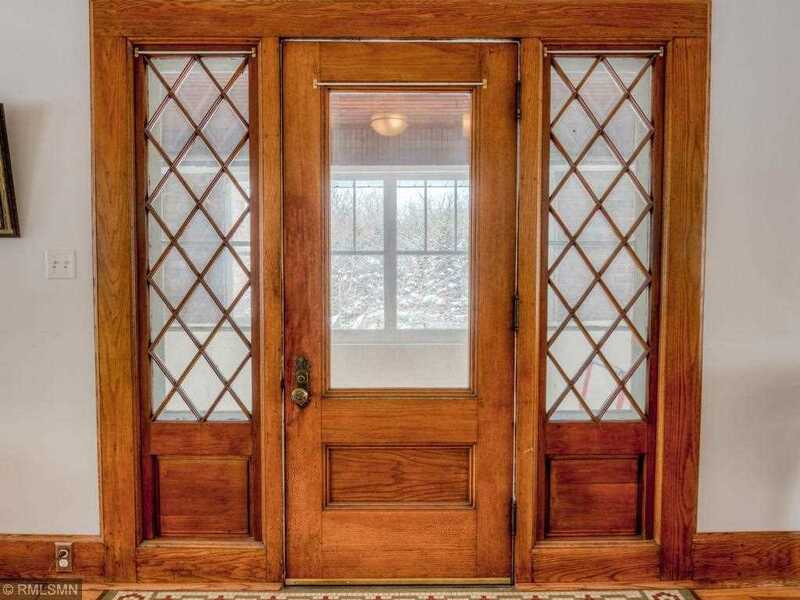 Extensive craftsman woodwork throughout adds charm. Main floor laundry. Large (1300 SF) walkout basement with 8ft ceiling and gas fireplace, with potential for conversion to a recreation room or an apartment with private entrance. Professional sound booth in basement for practicing instruments, voice over work or blogging. Solar panels for electricity, 2 car garage, shed and heated workshop. Directions: 94E TO MCKNIGHT SOUTH TAKE RIGHT ON LOWER AFTON, LEFT ON BURLINGTON RD, RIGHT ON UPLAND. I was searching for a Property and found this listing (MLS #4972944). I would like to schedule a showing for 631 Upland Avenue Saint Paul, MN 55119. Thank you! I was searching for a Property and found this listing (MLS #4972944). Please send me more information regarding 631 Upland Avenue Saint Paul, MN 55119. Thank you! MLS # 4972944: This property at 631 Upland Avenue, Saint Paul, MN 55119 is located in the Battle Creek-Highwood subdivision and is listed for $369,000. MLS # 4972944 has been on the market for 33 days.